Stéphanie Berecz, orginally from Ancenis in the Loire Valley, has been living and working in Tokaj in eastern Hungary for the last 24 years. 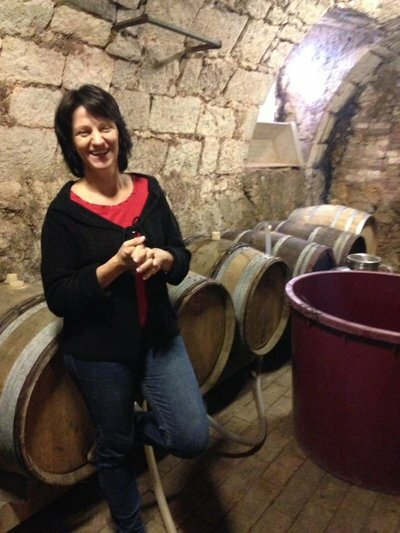 While working as a winemaker for a big domaine owned by a French insurance company, her and her husband Zsolt desired to make wine under their own name, founding Kikelet Pince in 2002. Currently, Stéphanie possesses 5 hectares (12 acres) of vines, which consists mainly of Furmint and Hárslevelű. Even for such a small domaine, the harvest takes place over a two month period, as for the aszú (sweet) wines, the grapes need to be harvested grape by grape to ensure that they are affected by noble rot. Even for the dry wines, the yields are extremely low. Stéphanie is currently in the process of organic conversion in her vines, and she is planning on incorporating biodynamic principles as well. Only indigenous yeasts are used in her wines, and the wines are aged in older oak (mostly French, as she is French after all! ).